Beyoncé's New Pixie Cut: How Does It Compare To Other Celebs'? And Does it Change Our Perception of Her? Queen Bey is no longer the owner of long, luminous locks! Yep, the day has come: Beyoncé has gotten a haircut. Mrs. Carter flaunted her new blond cropped hair in several shots she posted on Instagram last night. Oh yeah, she sure looks like a “Grown Woman” alright! While it looks like Beyoncé’s totally loving her pixie cut, we’re skeptical about how fans of Blue Ivy’s momma will react. So, in honor of Beyoncé chopping off her head of hair, we’ve decided to investigate how other starlets who snipped their lengthy ‘dos were viewed! After portraying the beloved Hermione Granger throughout the duration of the Harry Potter franchise, Emma Watson decided to reinvent her image, bidding farewell to her lengthy brunette hairdo. Although the haircut distanced Watson from Hermione, Watson fans still remained loyal for her bold, shorthaired look showed off her newfound maturity. People loved her, she cut her hair, and then frankly, people loved her even more. Just how awesome was Watson in Perks of Being A Wallflower, right?! 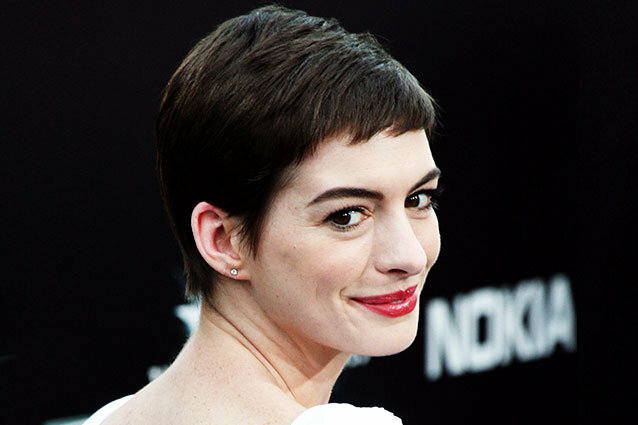 Anne Hathaway paid a visit to the salon to revamp her style for her role as Fantine in Les Misérables. Not that Hathahaters needed any more of a reason to despise Anne Hathaway, the pixie cut didn’t quite put out the hate-fire. I dreamed a dream that there was world peace, and everyone would halt bashing on Hathaway! Is that too much to ask? Regardless of the length of Natalie Portman‘s hair, the Black Swan actress will forever and always be the sh*t, because, well, she’s basically perfect. I mean she graduated from Harvard, she has the whole ethnic thing going for her– she’s Israeli-born, and she’s a puppy-lover. So, what more can you ask for?! Portman, you can rock any hairdo, and we will always love you. Last but not least: the one, the only Miley Cyrus. Cyrus bellowed adios to her famous Hannah Montana wig and her adored “Miley Bun”– which even had its own twitter account– when she seized a new look: a blonde spiky, pixie cut. Why did Miley chop it off? Well, because she thinks she’s really cool, I guess. That’s the only fathomable explanation I can think of for the “We Can’t Stop” party-girl pop-star. While a slim amount of peeps praised her short hair, celebrating Miley’s newfound badassness, most of the twitterverse criticized Cyrus for booking an appointment at the barber. I admit, I shed a tear when Miley buzzed it all off. So, what do you think of how people will react to Beyoncé’s new look? Will they praise her like Emma Watson or bash her like Miley Cyrus? 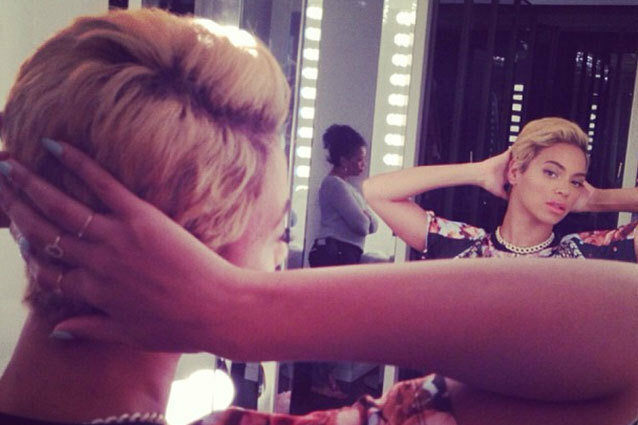 And most importantly, how do YOU think Beyoncé compares to other celebs with pixie cuts? Sound off in the comments section below!